We’ll give credit where credit is due—Fisher, our office dog, scored this account. 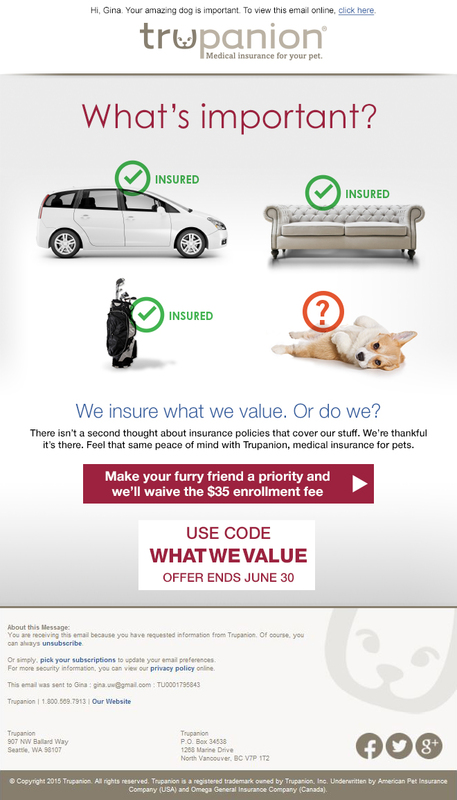 Trupanion, medical insurance for pets, was looking for an awareness campaign to layout the groundwork and help expand the current 2% market penetration in Canada. The dog-friendly city of Calgary was chosen for initial deployment. 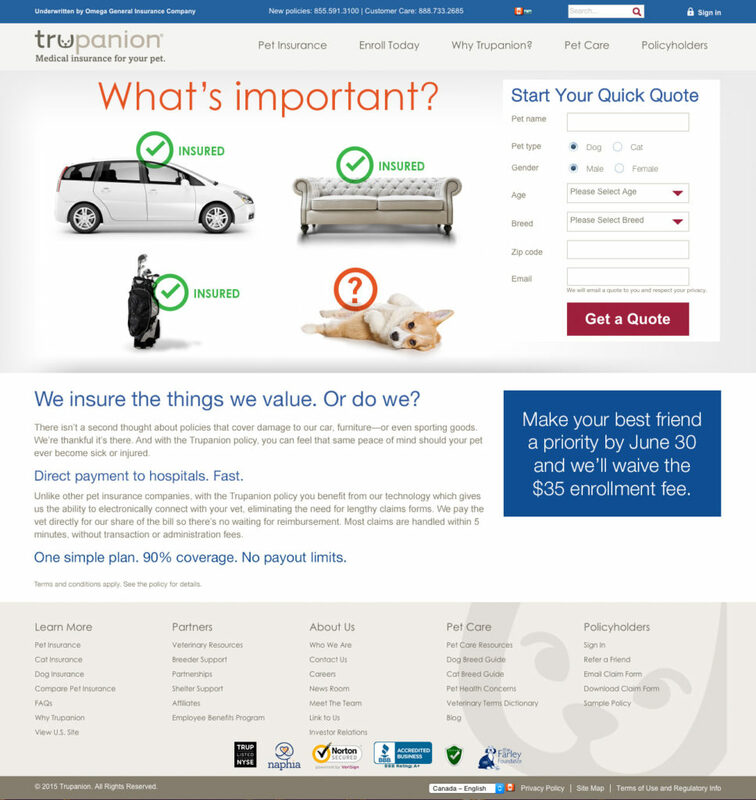 The campaign needed work across multiple channels including print, web, social and broadcast—with flexibility for image and content updates. 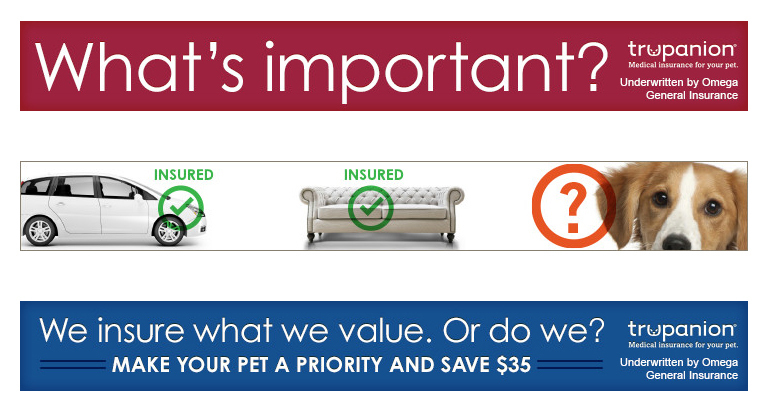 Our “What’s Important” campaign shined a light on how we prioritize and assign value to the things and beings in our lives, insurance being a symbol of that hierarchy of values. 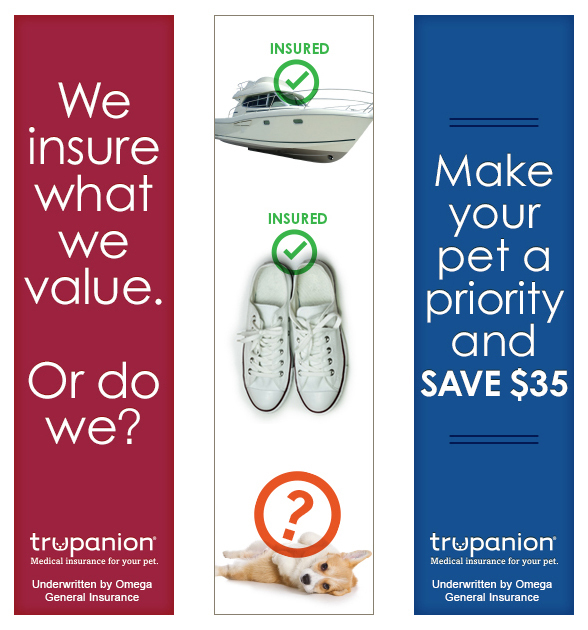 By showing the inanimate material things in our lives that ARE insured, next to a loving, living pet that is most often not insured, we’re confronted with a stark examination of those values.